New Zealand’s Glacier Country is one area of the country you have to see sooner rather than later. Why you ask? Because the features that give this region its name are rapidly melting away. Receding at an alarming rate of around 70 cm a day (yes A DAY! ), these ancient glaciers are badly bearing the brunt of global warming. There is a little more to the area though than just the glaciers. From the towering mountain peaks to the picture perfect lakes, I guarantee you’ll be mesmerised by the many things to do in New Zealand’s Glacier Country just like we were. The obvious place to start your adventures in Glacier Country is of course the glaciers themselves. 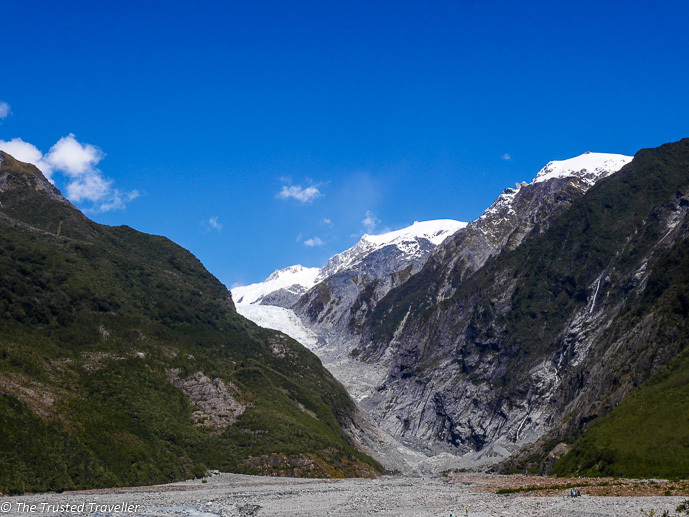 There are two main glaciers in the area, Franz Josef Glacier and Fox Glacier. Each are about 30 minutes drive from one another and can be accessed by a number of different ways. Here is a run down on the different ways you can see them and access them. This one is simple! 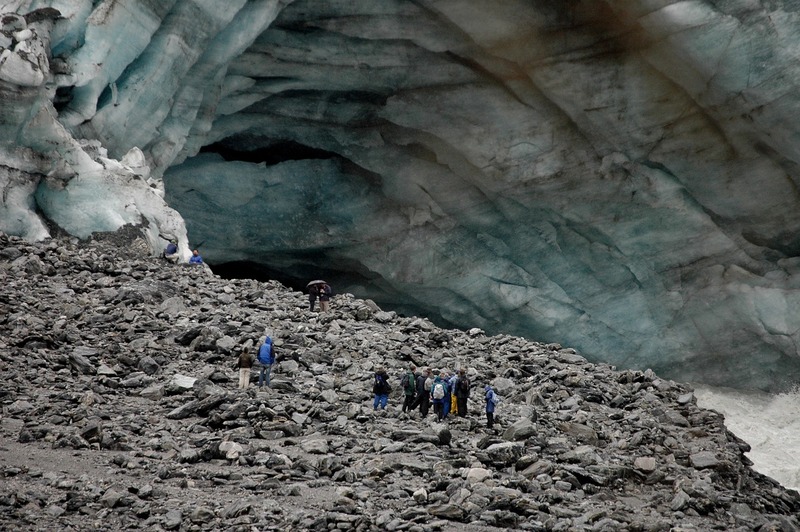 Both glaciers have designated car parks (or shuttle buses from the villages) from which you can walk along the old glacier bed to an area near the base of the glacier. The walk to both glaciers is quite easy for most levels of fitness although good footwear is recommended because of the uneven rocky surface of the trail. Franz Josef Glacier Valley Walk takes around one hour and twenty minutes round trip and the Fox Glacier Valley Walk takes about one hour round trip. Along both walks you’ll see the glacier towering above, walk along the river that flows off the glacier and see temporary waterfalls that form after rain on the surrounding cliffs. Tramp is the word that Kiwis use instead of hike, basically it means a long walk. There are a bunch of different tramps you can do in the area (with or without a guide) that will give you the chance to get up close to the glaciers without the expense of a helicopter (more on that further down). They range in length from a few hours to full day return tramps and require you to have a good level of fitness as the tracks are at times steep, slippery and uneven. But those who can handle this will be rewarded with unrivaled views or the glaciers, the Tasman Sea and the hundreds of mountain peaks surrounding. Address: Various starting points throughout the area. Cost: Free unless you decide to take a guided walk. For the ultimate Franz Josef or Fox Glacier experience you can take a scenic flight in a helicopter and even land on and walk on the ice. When the weather is right helicopters leave from the village almost ever few minutes taking visitors up to and over the glaciers for some of the best views in the world. Rides range from a quick 10 minute fly over to a landing on the ice where you can get out briefly for a walk or again landing on the ice and going on a challenging hike through the ice with an experienced guide. 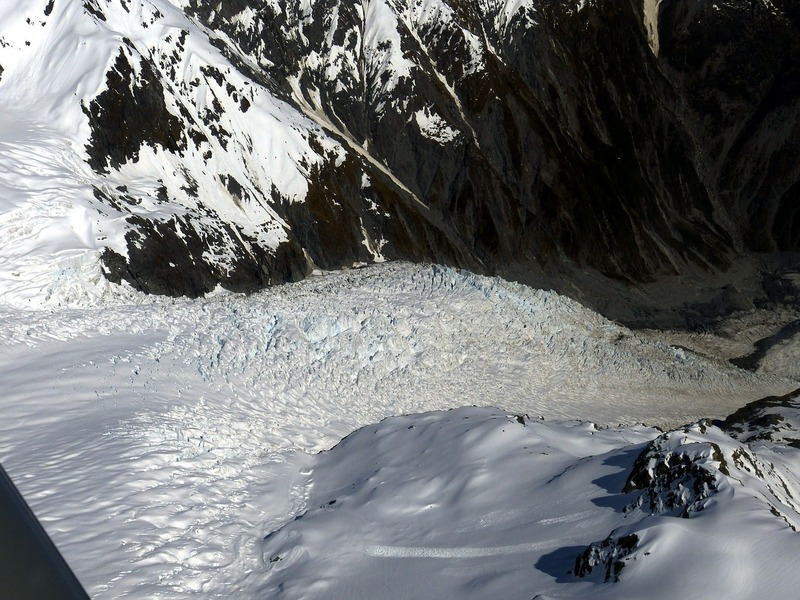 More Information: Viator offer a great range of Franz Josef and Fox Glacier Helicopter tours. Located just a few kilometres from Fox Village is the picture perfect Lake Matheson. The walk around the lake from the car park and cafe takes about one and half hours if you don’t make stops to take in the incredible view along the way. On a clear, calm day from various spots around the lake, you’ll be able to see a perfect reflection of Mt Cook, New Zealand’s highest peak, in the dark water of the lake. It is a truly breathtaking walk and one not to be missed! Get some inspiration from my walk around Lake Matheson. Cost: Entry to the main pools is $NZ26.00 for adults and $NZ22.00 for children. 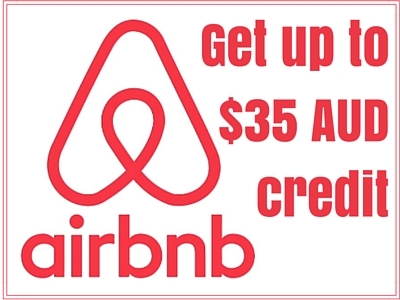 A private pool for two people for 45 minutes is $NZ90.00. Surrounded by rainforest, the Glacier Hot Pools are the perfect place to rest your aching muscles after a day of tramping around the nearby glaciers. The Glacier Hot Pools are located just a stones throw from the centre of Franz Village and are home two three main pools of different temperatures plus a few private pool as well. 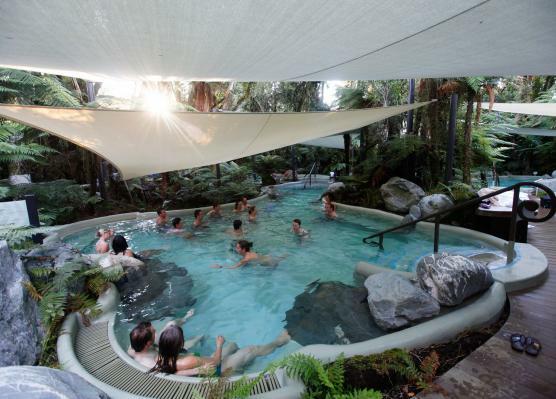 The pool are feed by the waters of Franz Josef Glacier or Ka Roimata o Hinehukatere in Maori. The legend of Hgai Tahu (a local Maori tribe) says that these waters are the tears of aroha, meaning love, which were frozen by the gods creating the Franz Josef Glacier. There are lots of places to stay in both Franz Josef and Fox Villages catering to everyone’s preferred accommodation styles.. We chose to stay at and recommend the YHA Franz Joseph Glacier Hostel because of it’s location in the heart of the Franz Josef Village, wide selection of accommodation options including private and shared rooms and their large kitchen and common area for meals and down time. You can find more places to stay around New Zealand and the world on my Where to Stay page. For drinks and a hearty meal head to the The Landing Bar right on the main street of Franz Josef village. If the sun is shining you can sit on the large front terrace (don’t worry they have heaters!) and relax with a well earned drink after a day of walking. Also in Franz Josef Village is Picnic’s European Bakery which serves up a delectable range of doughnuts and other sweet treats all hand made. They also have savoury pastries you can enjoy hot before you tuck into the sweets. 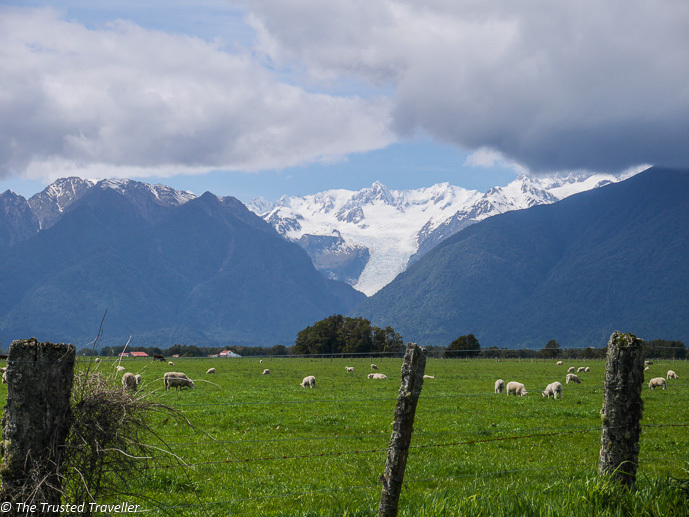 Of all the things to do in New Zealand’s Glacier Country, what would you most like to do? This all looks so amazing! I can’t wait to get to New Zealand. Thanks Kirstie, NZ is incredible! I was a little taken aback when my Kiwi friend first said to me she was going on a tramp. It’s now a running joke with us. Gotta love the Aussie / Kiwi banter! Hope you enjoy NZ someday soon. Wow, Jen. Your photos are AMAZING, especially the one from Fox Glacier! I haven’t been to NZ yet, but am plotting to move there one day. Thanks Miriam! Hope you move there soon, it is amazing!!!! I am fascinated by glaciers. Quite frankly, I was not aware that there were any important ones in New Zealand. I would love to visit NZ but… I know very little about it. It just is a fascination that comes from complete ignorance and from picturing it as a totally different place I suppose. 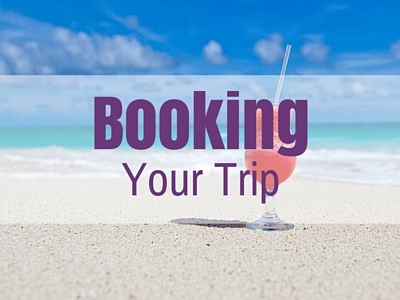 Lovely post, with lots of ideas for those visiting! Thanks Claudia. The one thing you need to know about NZ is that it is spectacular. That should be reason enough to visit. This really sounds ideal to me! I love hiking, or “tramping” and I have wanted to go to New Zealand for a long time. I guess I will have to make it there before the glaciers melt. I can’t believe they are receding at a rate of 70 cm a day. That is so sad! You will LOVE NZ if you love hiking. It is a hikers dream! I love hiking, so it’s a place for me, although I’m not quite sure if I’d get anywhere. I’m afraid I’d be too busy taking pictures of literally every scene I encounter. I can’t believe the glaciers are receding at a rate that high. That’s a bit disturbing. There are so many awesome things to do there…I’d add all of them to my list. I’m sure I’ll make it to New Zealand someday! 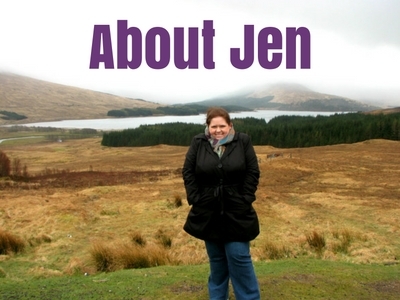 Thanks for this awesome guide Jen – I love that the majority of attractions are either free or only a small entrance fee. We’ve just arrived in Australia so really looking forward to being able to explore both Aus and NZ very soon – we realized in Alaska recently that the majority of guided tours for natural attractions like these don’t really offer too much more than if you were to have done it yourself, so I think we’ll likely stick to exploring on our own. I especially can’t wait to get to Franz Josef Glacier on the Valley Walk. NZ might be a bit more expensive than other countries for food, accommodation and car hire etc but I think it makes up for it by having so many great free things to see and do. Breathtaking photos! I wanna go to New Zealand so bad to discover the fascinating landscapes. I had no idea that there were glaciers in New Zealand! That’s super cool. This itinerary is awesome, I just wonder if I’ll be able to get there before they really melt away! Global warming is such a shame. Thanks Francesca. Hope you get there before they disappear. Thanks Kate. Happy I helped you reminisce. I was in New Zealand when I was 4, so technically I’ve been to this area – however I certainly need to go back considering how young I was! Great article on such a beautiful place. You definitely do need to go back. I bet it has change so much! We start our trip around the South Island in October and definitely want to see the glaciers! Which did you prefer? I think we’ll probably end up visiting both! 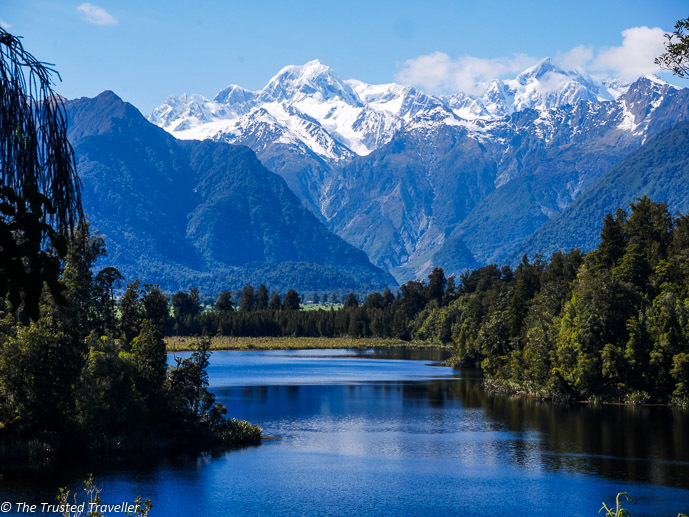 I also really want to see Lake Matheson, it looks stunning! Great post. this is really helpful info – and stunning photos! Thanks! If you have time, I definitely recommend trying to see both. I think I loved Franz more mostly because the weather was perfect the day we visited it, but the day we visited Fox it wasn’t quite as nice. Hope you have a great time! Thanks for your review of things to do while you are in New Zealand. It’s one of my life goals to visit New Zealand one day. I really like your suggestion about chartering a helicopter ride. I think that would be a fantastic way to view the scenery. I’ll keep that in mind as I plan my trip. Thanks for your great article! Thanks Aaron. NZ is such a wonderful place. I hope you get over there soon!